Size 3 ¼" x 6"
Printing Flexography Printing What is this? Keep a clean slate - Do Not Operate. 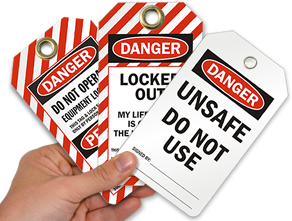 These tough tags are a great way to mark your inoperable or dangerous equipment to prevent accidents. 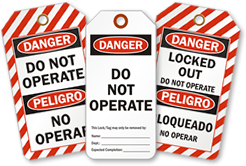 • Reinforced eyelets and a two-sided message can suit the needs of your environment. • This set includes 25 tags and 25 heavy-duty nylon ties for a complete tag set. 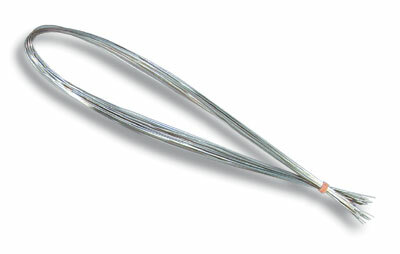 • Comes with a reinforcing self-laminating cover to provide extra protection to your tags on both sides. • This innovative tag uses a clear-polyester flap to seal in your writing. Tag has flap on both sides. • Write on the base tag material, remove the adhesive liner from the flap, press down and your writing is protected from rain, weather and vandals. • Base material is a 15 mil thick vinyl. Tag surface accepts pencils, pens or permanent markers. • Lamination is a clear 2 mil thick polyester with an adhesive backing. • Tags include a metal eyelet (most tags use a 3/8" brass eyelet). Options include wires and plastic ties.